The Cobra CLAW has arrived! For REAL! 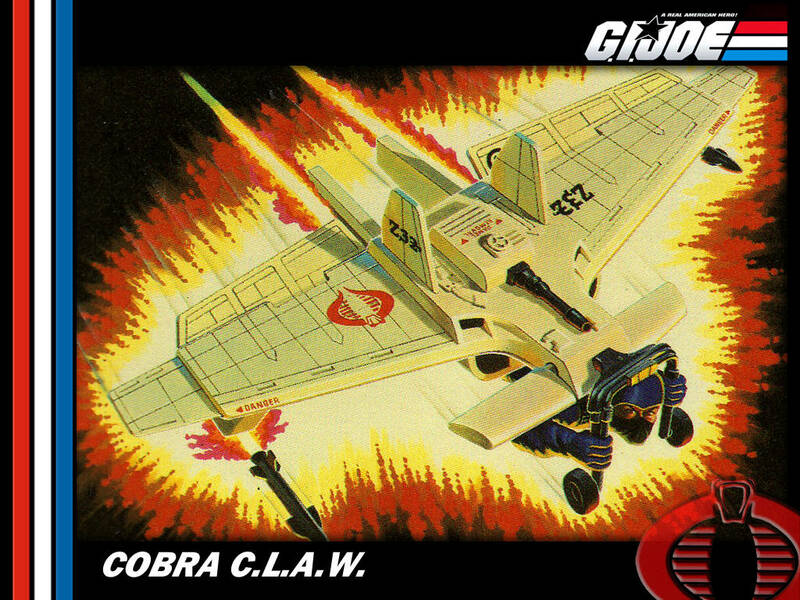 Remember the Cobra CLAW? You know, the then-futuristic powered glider that debuted back in 1984? Apparently the future is NOW because Swiss aviation enthusiast Yves Rossy has released a spectacular video of his jet-powered glider taking to the skies of Dubai. Sure, it lacks a dorsally-mounted laser cannon or wing tip missiles but otherwise this is for all intent and purpose a real life CLAW! First Howe & Howe Tech create the Ripsaw, a real-life HISS tank that was featured in G.I. Joe Retaliation, and now this? Someone keep an eye on Microsoft for something resembling a Weather Dominator! Or maybe Apple IS working on their own Pyramid of Darkness! Check out the video below and check out more coverage at Jetman.com! This entry was posted in Misc Geekdom and tagged 1984, Cobra, Cobra CLAW, Howe & Howe Technologies, Miscellaneous, Ripsaw, Tread Ripper, Yves Rossy by Fred Meyer. Bookmark the permalink.